This is the home of the Canada Water Campaign and Canada Water Consultative Forum. The next Canada Water Consultative Forum meeting is Monday 1st October 2018. TfL will give a Rotherhithe to Canary Wharf Bridge update & Sellar will talk about their next phase plus lots more. The Canada Water Master Plan is about to change our area forever. 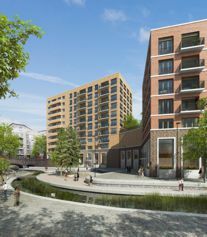 British Land have submitted an outline planning application for the Canada Water Masterplan to Southwark Council which also includes a detailed planning application for the project’s first three buildings (A1, A2 and K1). This follows over four years of community engagement on the Masterplan with more than 110 public consultation and local outreach events, with a total recorded attendance of over 10,000 people. The statutory consultation period is the opportunity to view all the planning documents, which will be available on Southwark Council’s online planning register. All representations on the planning application should then be directed to Southwark Council’s Planning Division via the online planning register for their consideration in their determination of the planning application. See http://www.canadawatermasterplan.com/ for all updates and the masterplan details on a PDF (very large file). The Decathlon site as it will be along Albion Channel. All details on these sites can be found here. The picture above shows the library and Montreal House. Here is the only place online where you will find the Planning Applications for Sites A&B, Design Code and the Arup Transport Assessment and EDCO Public Realm documents. 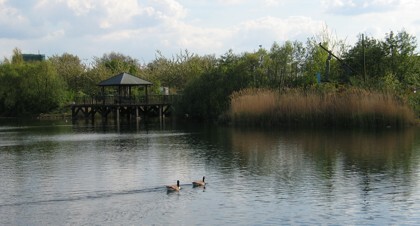 The community aspiration is for a "low, clean and green" waterside development, preserving and enhancing the attractions of Canada Water itself but also becoming a community focus. The community - through the Canada Water Campaign and the Forum - has been fighting hard to preserve the dock and to prevent overdevelopment whilst achieving the facilities that are badly needed. 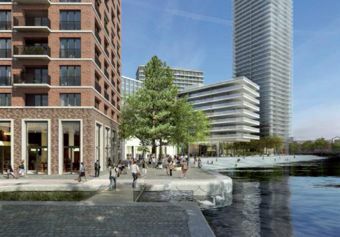 A British Land/Canada Quays consortium was chosen as the preferred developer-led team to masterplan development at Canada Water following extensive public consultation. This followed Southwark Council's adoption of the Master Developer Brief and the Planning & Design Principles & Technical Appendices which the Canada Water Consultative Forum worked so hard on.